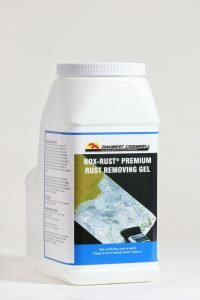 Nox-Rust Premium Rust Removing Gel is a water-based, fast-acting, brush-on rust remover. It safely and effectively removes surface rust from large, hard-to-move vertical metal structures and equipment including railings, partitions, columns, lockers, and tools without scrubbing or sanding. Thick, acid-free Nox-Rust Gel works on steel, iron, and most metal surfaces without harming paint or rubber. 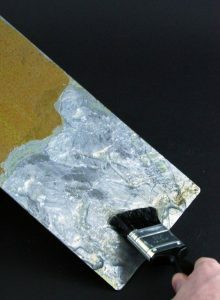 To apply, brush on a liberal amount of gel over the rusted metal surface. Light rust will begin to break up within 15-20 minutes. 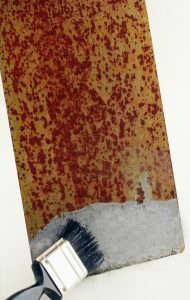 When rust is loose, wipe away with a soft cloth or rinse with water. Protect cleaned metal from further corrosion by storing in Daubert Cromwell VCI packaging paper, film, bag, or coat with a Nox-Rust protective liquid. For maintenance professionals charged with keeping facilities and equipment rust-free, Nox-Rust gel is the economical, safe alternative to rework or using harsh chemicals.